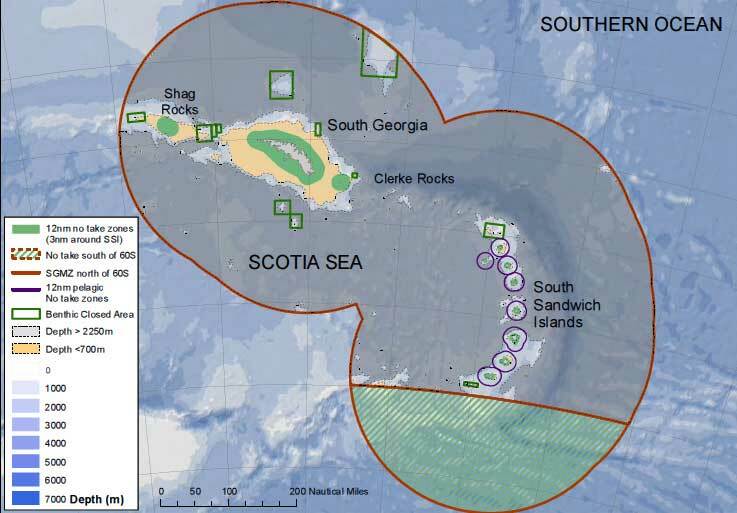 The Government of South Georgia & the South Sandwich Islands has announced the release of the second Terrestrial Protected Areas consultation and presentation of UNEP-WCMC’s final proposals. This final consultation document provides a synthesis of the feedback received from the first consultation which was held in May and demonstrates how the feedback received from stakeholders has informed an updated portfolio of recommendations. You can download a copy of the consultation document here or view it online here. In September, the Government published the record of the June 2018 second Marine Protected Area (MPA) review workshop together with the associated annexes. 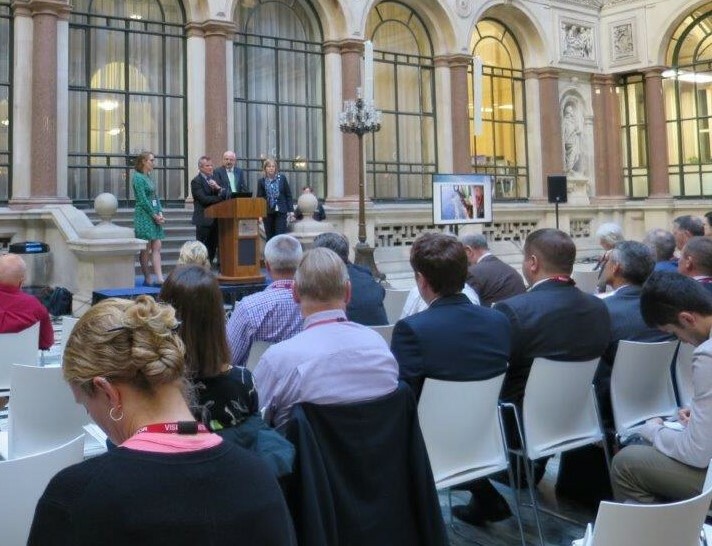 Representatives from South Georgia & the South Sandwich Islands chaired their annual stakeholder meeting hosted by the FCO in London at the end of September. The subjects covered included fisheries, bio-security, heritage and visitors with 7 invited speakers sharing their enthusiasm, science, knowledge and experience to over 70 invited stakeholders. It was a great afternoon with much lively conversation and exchanging of views all be it mainly in the coffee break! The main presentations will be available on this in webiste shortly. Helen Havercroft, GSGSSI CEO, was able to meet with a representative from the Norwegian Department for Cultural Heritage and discuss the value of proactive outreach and the power of story telling. Helen hopes this leads to more conversations and action in the near future. Helen would like to thank the Friends of the Island South Georgia (Øyas Venner) who hosted an excellent day including poignantly a moment of quiet reflection in The Harbour Chapel, Sandefjord. There was a lively lunch time discussion about life on South Georgia while whaling was still active as amongst the Øyas Venner party were a former whaler and the Manager’s daughter. Helen hopes to return next year. 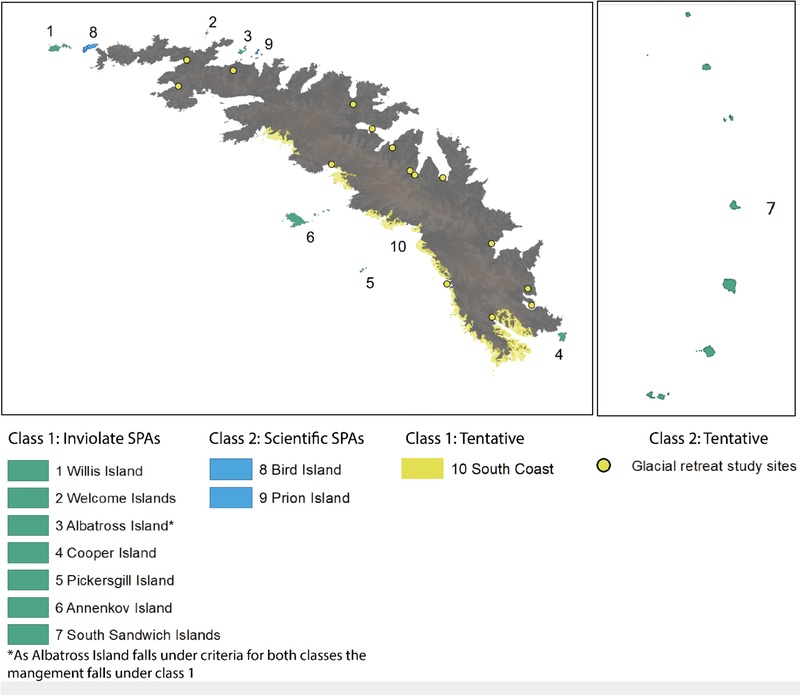 The map, created by Nathan Fenney and Laura Gerrish from the Mapping and Geographic Information Centre at British Antarctic Survey (BAS), contains new features including previously uncharted bays and lakes created by recent glacier retreat. It was commended for the ‘Stanfords Award’ which is open for any mapping in the printed form, this includes posters, folded sheet maps, atlases or pages from a book. The high resolution map of the Shackleton Crossing shows the route across South Georgia taken by the great explorer and two colleagues in 1916 after the 16-day sea crossing from Elephant Island and without any specialist mountaineering equipment. Against the odds, Shackleton’s team successfully reached Stromness and sought help for the remaining crew members deserted on King Haakon Bay and Elephant Island. 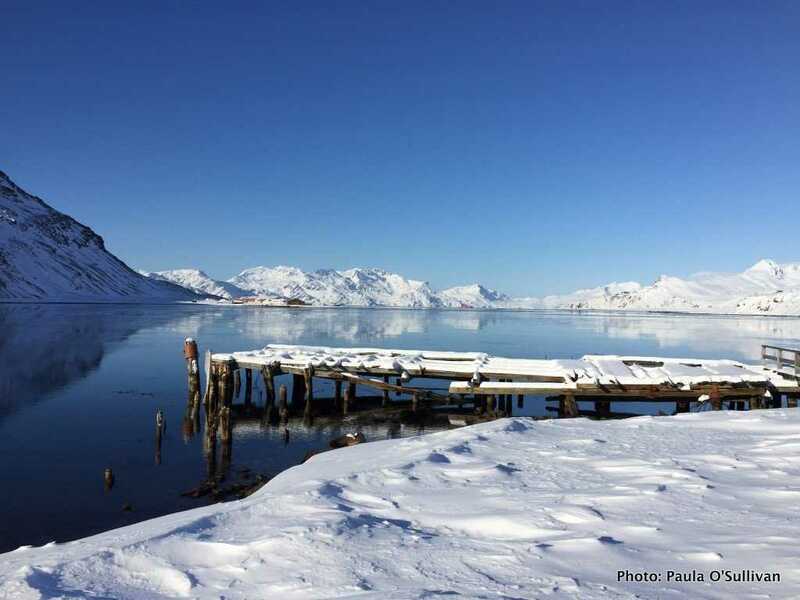 Today, the Shackleton Crossing is popular for mountaineers wishing to follow in the path of the great explorer’s expedition. The South Georgia and Shackleton Crossing map was produced in collaboration with the expedition and advisory panel at the Government of South Georgia & the South Sandwich Islands, who frequently advise visitors on routes across the island. 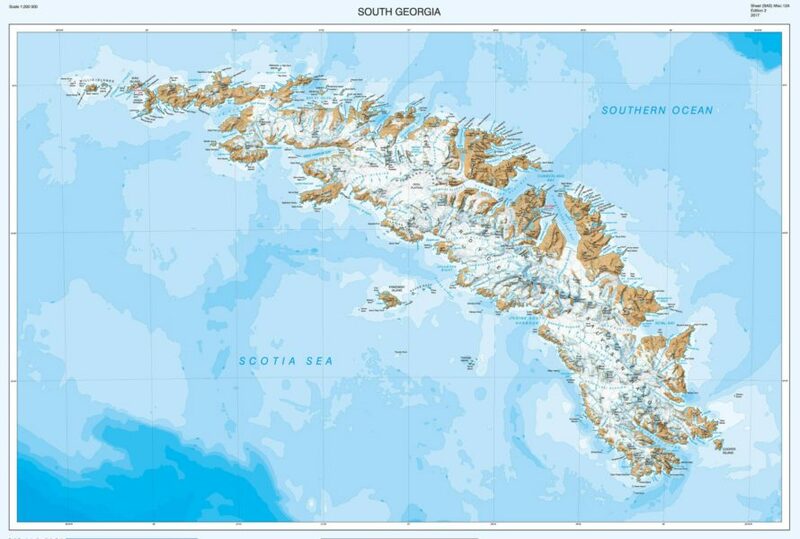 The new map of South Georgia features newly formed bays due to glacier retreat. 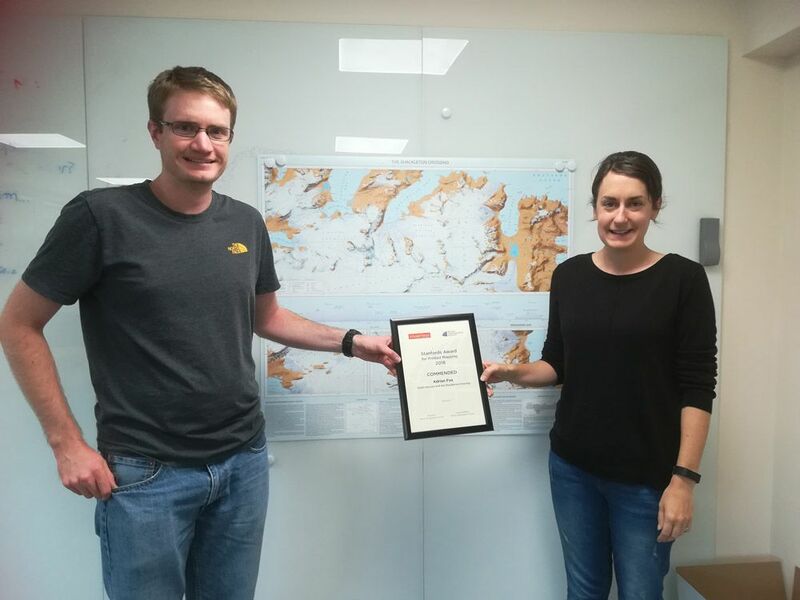 Nathan Fenney and Laura Gerrish with ‘Stanfords Award’ for the South Georgia and Shackleton Crossing Map. Find out more about the creation of the map here. 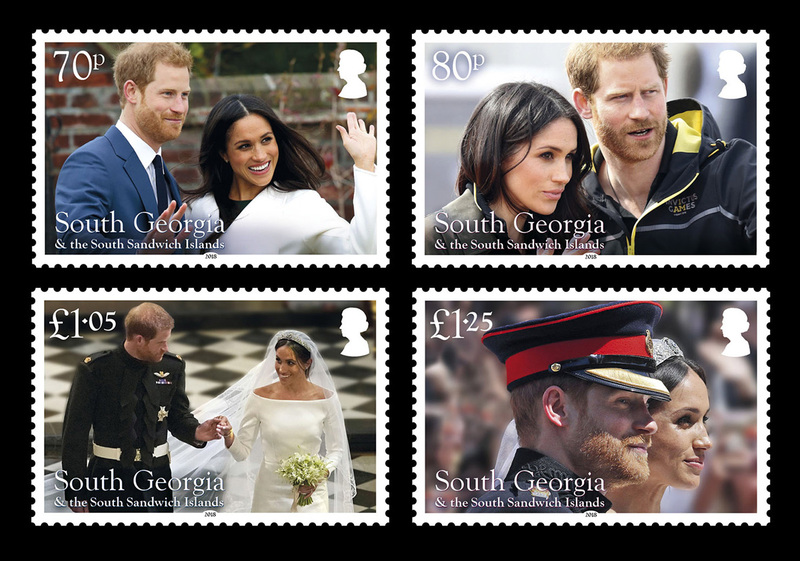 GSGSSI has released a commemorative stamp issue to celebrate the Royal Wedding between the Duke and Dutchess of Sussex. The Prince of Wales announced the engagement of his youngest son Prince Harry to Ms. Meghan Markle on 27 November 2017. They became engaged earlier in the month, with the Prince giving Ms. Markle a bespoke engagement ring consisting of a large central diamond from Botswana, with two smaller diamonds from the jewellery collection of his mother, Princess Diana. Prince Harry and Ms. Markle chose to hold the official photo call to mark the announcement of their engagement in the Sunken Garden at Kensington Palace. The garden had been a favourite of Diana, Princess of Wales and the planting scheme was transformed into The White Garden in her memory in 2017. The day before the wedding Kensington Palace announced that Prince Charles would accompany Ms. Markle down the aisle, after she confirmed her father would not be attending the wedding due to his recent heart surgery. The bride spent the night before the wedding at Cliveden House along with her mother, while the groom stayed at Coworth Park Hotel with his brother, Prince William, the Duke of Cambridge. 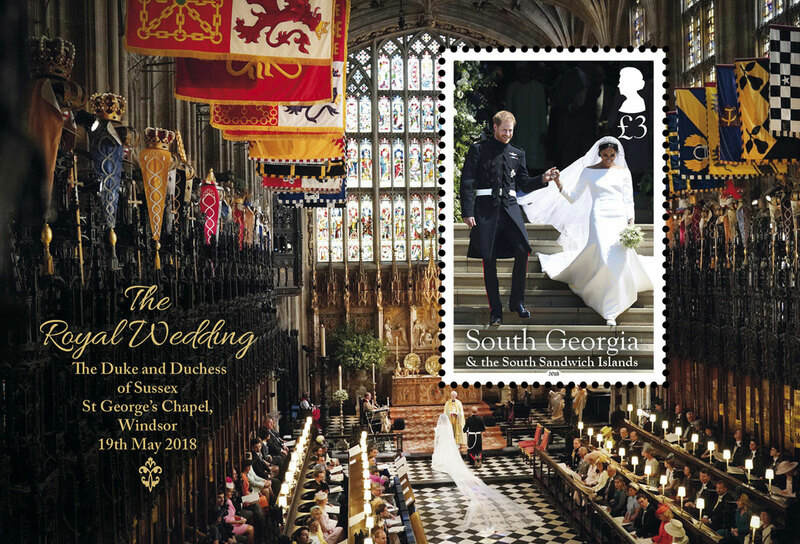 The wedding took place on Saturday, 19 May 2018, at St George’s Chapel, Windsor in a service conducted by the Dean of Windsor and attended by around 600 guests. Ms. Markle’s wedding dress was designed by Clare Waight Keller under the fashion house Givenchy. The gorgeous 16-foot veil included flowers from all 53 countries in the Commonwealth. Ms Markle was accompanied by her mother as she made her way to the church. Prince Harry and his best man, the Duke of Cambridge, wore the frock coat uniform of the Blues and Royals (Royal Horse Guards and 1st Dragoons) in which both were commissioned, and Prince Harry served for 10 years, including in combat in Afghanistan. Prince Harry wore the rank of major with the star of the Royal Victorian Order, of which he is a Knight Commander, along with the ribbons of the Royal Victorian Order, Operational Service Medal for Afghanistan, Queen Elizabeth II Golden Jubilee Medal and Queen Elizabeth II Diamond Jubilee Medal, and Army Air Corps wings. A total of ten bridesmaids and page boys were chosen, with the bride and groom each selecting five. Traditionally, royal princes have been awarded peerages prior to their marriages. Hours before the wedding, Prince Harry was granted the titles Duke of Sussex, Earl of Dumbarton, and Baron Kilkeel, and Ms. Markle assumed the style “Her Royal Highness The Duchess of Sussex” upon marriage. After the ceremony, the newly married Duke and Duchess of Sussex enjoyed a carriage procession through Windsor to the delight of the waiting crowds and well-wishers. Some 18 million TV viewers were reported in the UK and 30 million in the USA, with a global audience estimated to be in the hundreds of millions. 70p Prince Harry and actress Meghan Markle during an official photocall to announce their engagement at The Sunken Gardens at Kensington Palace on November 27, 2017 in London, England. (Photo by Chris Jackson/Chris Jackson/Getty Images). 80p Meghan Markle and Prince Harry, Patron of the Invictus Games Foundation attend the UK Team Trials for the Invictus Games Sydney 2018 at the University of Bath Sports Training Village on April 6, 2018. (Photo by Chris Jackson/Getty Images). £1.05 Prince Harry, Duke of Sussex and Meghan Markle, Duchess of Sussex, walk away from the High Altar toward the West Door to exit at the end of their wedding ceremony. (Photo by Owen Humphreys/AFP/Getty Images). £1.25 Prince Harry, Duke of Sussex and The Duchess of Sussex leave Windsor Castle in the Ascot Landau carriage during a procession after getting married. (Photo by Frank Augstein – WPA/Getty Images). Sheet Border. Prince Harry and Meghan Markle pose for official engagement photos at Frogmore House in December, 2017 in Windsor. (Photo by Alexi Lubomirski via Getty Images). £3 S/S. Prince Harry and Meghan Markle leave St George’s Chapel after their wedding. (Photo by Jane Barlow – WPA Pool/Getty Images). S/S Border. Prince Harry and Meghan Markle exchange vows during their wedding ceremony in St George’s Chapel at Windsor Castle. (Photo by Owen Humphreys – WPA Pool/Getty Images). FDC. Prince Harry, Duke of Sussex and his wife Meghan, Duchess of Sussex wave from the Ascot Landau Carriage during their carriage procession on Castle Hill outside Windsor Castle after their wedding ceremony. (Photo by PAUL ELLIS/AFP/Getty Images). Further information at Pobjoy Stamps. The South Georgia Association Autumn Event this year (in association with Friends of the Scott Polar Research Institute) comprises of a diverse programme including presentations on history, conservation, ecology, the arts and exploration. Venue: Scott Polar Research Institute, Lensfield Road, Cambridge. 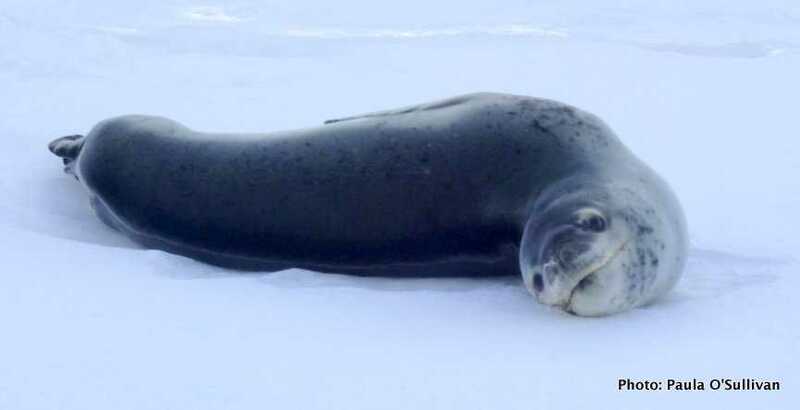 Leopard Seal. Photo Paul O’Sulivan. Harbour Patrol. Photo Paul O’Sullivan. 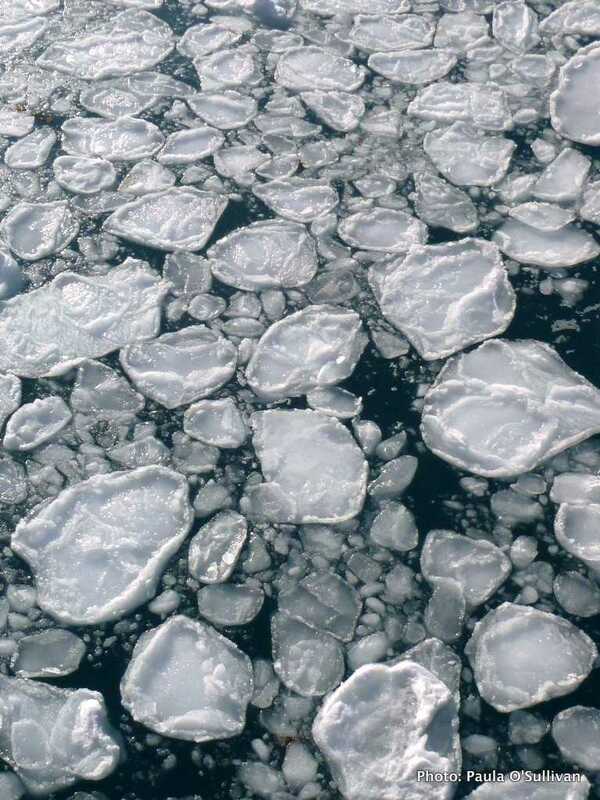 Pancake ice forms in the sheltered waters of King Edward Cove. Photo Paul O’Sullivan.